Ever since I picked up the first Harry Potter book, I’ve been a fan of the characters and especially the lore the universe contains. So when I learned a film series based of the Hogwarts’ book “Fantastic Beasts and Where to Find Them” was being worked on, I was totally on board. I enjoyed the first entry quite a bit, and couldn’t wait to see the follow-up, Fantastic Beasts: The Crimes of Grindelwald. It was worth the wait for the 4K HDR release, as it might not be as intense as the first movie, but it has enough wizarding action to satisfy fans and fantasy movie lovers. The story picks up not long after the events in the previous film, as Gellert Grindelwald (Johnny Depp) is on the run after making an escape from the noble wizards and continues his quest to find Credence Barebone (Ezra Miller) in order to use his incredible power for himself. 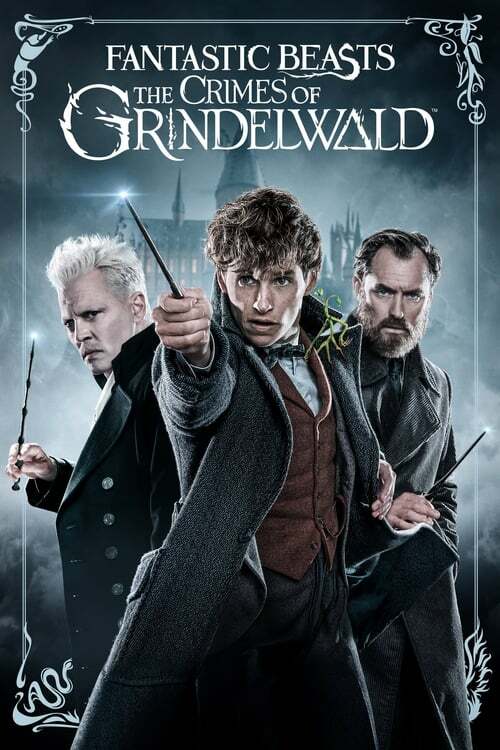 After our hero Newt Scamander (Eddie Redmayne) is disciplined for his unorthodox methods and magic use from the first movie, he’s soon approached by Hogwarts headmaster Albus Dumbledore (Jude Law) who wants Newt to put a stop to Grindelwald and his evil plans. This will prove difficult as a love interest enters the picture with Leta Lestrange (Zoë Kravitz) and his brother Theseus (Callum Turner) also having a thing for her as well. Then there’s also Newt’s best bud Jacob (Dan Fogler) having a forbidden love with Queenie (Alison Sudol) that might prove disastrous, as well as other obstacles that threaten to stand in their way of finding and stopping Grindelwald. I enjoyed this adventure, but I could tell it was lacking that extra something the first entry had in abundance. At times it felt like the pacing was off, as though it wasn’t sure where it wanted to go or what it wanted to accomplish. But besides those moments the film was still a magic-filled delight that left me wanting to see what’s next. The 4K HDR release was also a nice touch, as the visuals and tons of special effects come to vivid life here. Then there’s the Dolby audio that makes sure every spell cast and action-packed, bass-filled boom is heard loud and clear. There’s also a few magical extras to flip through once the credits roll, starting with “Unlocking Scene Secrets” that’s a near hour-long documentary which touches on the production of the movie, has some interviews with some of the cast and crew, and has plenty of behind the scenes footage. “Wizards on Screen, Fans in Real Life” features Ezra Miller and Evanna Lynch discussing how they’re big fans of the Potterverse and go into this latest installment of the film series. “J.K. Rowling: A World Revealed” has the famed author and screenwriter talk about what pushed her to create this new series of movies. Wrapping up the extras are some deleted and extended scenes, and if this film wasn’t long enough for you, there’s an extended version that adds in seven minutes of these scenes for you to enjoy. If you’re a fan of the Harry Potter wizarding world or love fantasy films, you’ll want to grab your wand and spellbook for Fantastic Beasts: The Crimes of Grindelwald. It loses its way from time to time with so-so pacing and direction, but still manages to come out on top with plenty of action and humor fans love. Throw in the crystal clarity of 4K HDR, Dolby sound, and plenty of cool special features, and you got a magically good time on your hands.